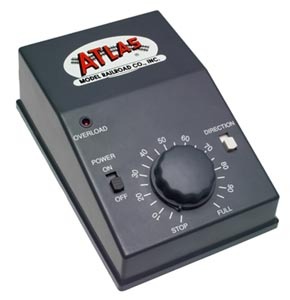 Atlas' high quality N scale locomotive is modeled after GE's U25B introduced in the 1960s. The U25B locomotives were a common sight on railroads across the country. This replica has the same high detail and standards you have come to expect from an Atlas locomotive. N U25B Locomotive - Phase 2A - New Road Numbers! N U25B Locomotive - Phase 2A - New Paint Scheme! N U25B Locomotive - Phase 2B - New Paint Scheme! N U25B Locomotive - Phase 2B - New Road Numbers! The Southern Iron and Equipment Company (SIECO) of Atlanta, Georgia, began manufacturing gondolas in the mid-1970s. The Evans Company took control of SIECO in the early 1980s, producing the gondola under their own specifications. The gondola is still in use in North America today. This Atlas N scale gondola will find as many uses on your model railroad as the prototype did on the great rail lines of America. N Evans Gondola - New Model! N 40' Wood Reefer - New Road Numbers! N 40' Wood Reefer - New Road Names! The prototype for this model still stands today, and was recently restored by volunteers to its original appearance. 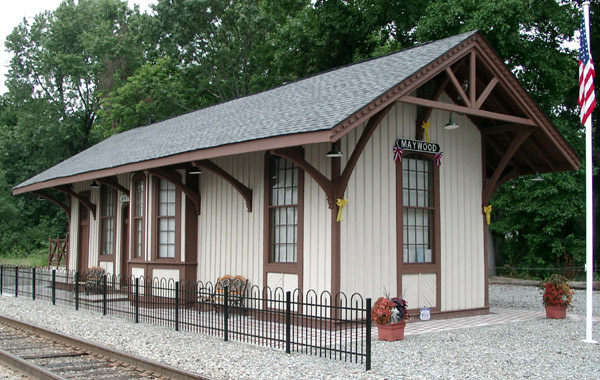 It currently houses a small museum which features artifacts from railroads in the region and highlights the station's role in the development of the Borough of Maywood.
? Kit and Built-Up versions are molded in colors which are historically appropriate for the prototype.
? Approximate finished size (including base): 5" x 2.25"